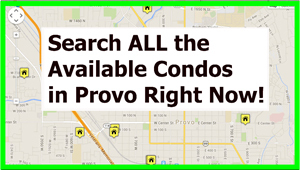 The Goldstone Condo Provo Utah are BYU Approved for Females. Please contact BYU offcampus housing to verify the current status. 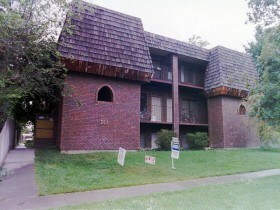 The Goldstone Condominiums are located at 261 N 400 E Provo, UT 84606. Goldstone Condos are built in 1982 and have 12 available units. This condominium project has not been recently FHA approved. A buyer will need to get a conventional loan or pay cash. Verify with a lender the current type of financing available to purchase a Goldstone Condo Provo Utah. Goldstone condos are within walking distance to BYU. These condos are typically approved at BYU to house 4 females. Some of the units have a balcony off the living room. They typically have 2 parking spaces. One covered and one that is uncovered. The prices of Goldstone Condos have fluctuated over the past three decades. I searched the MLS and was able to see the oldest recorded sold condo at Goldstone. In 1998 one of the units sold for $81,500. The prices sold climbed up to $108,000 as we approached the year 2000. Between 2000 to 2005 the prices went up to $129,900. The last recorded sale in Goldstone was in 2007 for $133,900. The current owners appear to be quite satisfied and the turnover is low. Call us for updated availability and pricing. If you would like me to check the MLS for the most recent sales at Goldstone contact Paul Teasdale. If I am unable to find any available condos at Goldstone I can look up comparable units around Goldstone and give you an accurate value. The condos close to BYU tend to keep their value. Many buyers want to purchase a condo within walking distance to BYU. If you have a condo in Provo that you would like to sell contact Paul with Team Teasdale Realty.